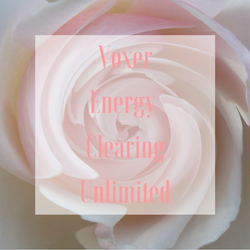 Way to go in signing up for Voxer Energy Clearing! Just one more thing. How would you like to have UNLIMITED Voxer with me? That’s right for a limited time, I am opening up just a few spots for Unlimited Voxer! Get in now at this great investment and release even more blocks, self-doubt and find the freedom, motivation, and possibilities you have been looking for. This is a monthly subscription and you can cancel anytime. How would it feel to have someone in your corner that has your back when you really need some help? This price is actually below my normal hourly rate. And it’s not for everyone, but I know there are some amazing change makers that don’t want to wait until the next month after they have used up their allotted hour to get more support. If you have been wanting to carve your own path and know you need support in your journey, then this is for you. This is for those that want to leave the shackles of false beliefs and struggle and want to take responsibility for their life on a bigger level and live life on their own terms. If this sounds like you, I invite you to join me. Just click the link below to secure your spot before it’s taken. I’m so excited to help you at a deeper level!